Truth be told, we like getting our hands dirty. As we enter the start of the summer, there are oodles of projects on our outdoor to-do lists that require rolling up those sleeves and getting to work. First up, an herb garden! However, sometimes when you have the itch to tackle a project like this your skin can often become dry and itchy too – here we have the solutions for you! You’re welcome/Thanks Curél! If you realize your itch for DIY has you actually feeling a tad itchy, our go–to fix is this line of Curél’s Itch Defense Products. Your project should start with Curél. 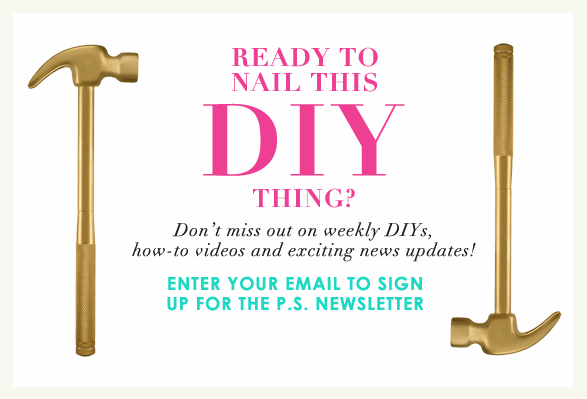 Tackle the problem before even heading outdoors by prepping your skin- trust us! 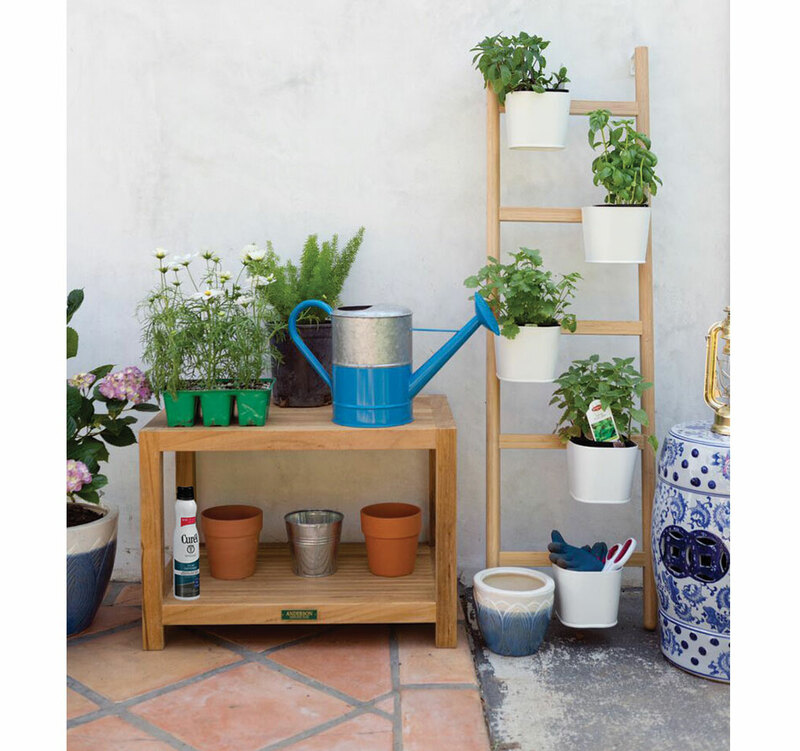 You’ll be able to enjoy outdoor activities (such as creating the perfect herb garden) even more without having to worry about irritated skin that may come from climate changes and seasonal allergies. 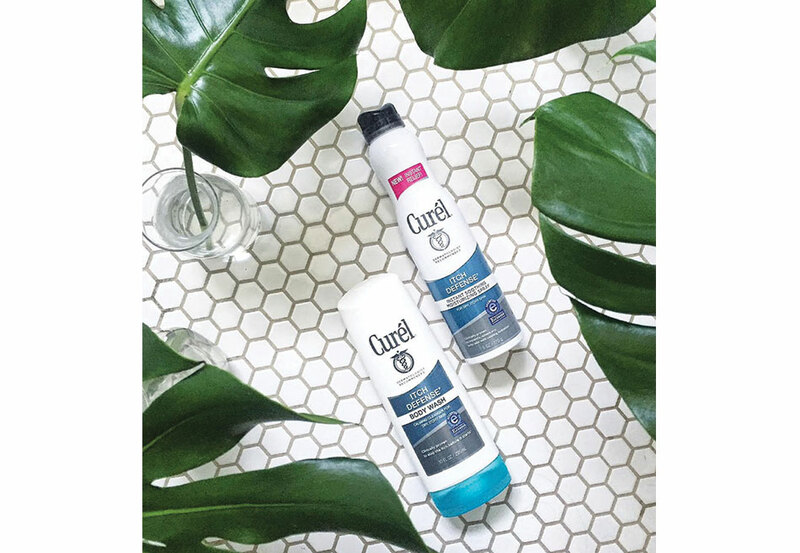 First use the Curél Itch Defense Body Wash – a soothing and hydrating body wash that tackles dry, itchy skin in the shower (where the cycle of itch begins). Follow then with Curél Itch Defense Instant Soothing Moisturizing Spray— that will help soothe dry, itchy skin instantly. Both of these products will have your skin feeling cool, calm and itch free, in no time. Now, onto everyone’s favorite scent – herbs! Having fresh herbs on hand to craft the most delicious summer dishes are a necessity. And if your petite herb garden dreams have been popping up on the regular, it’s time to pull trigger. 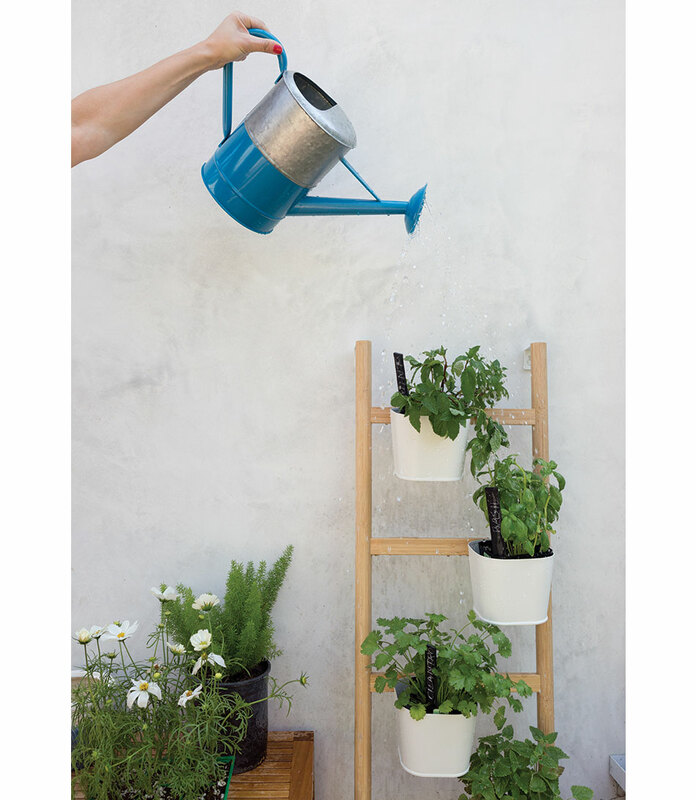 On a recent adventure to Ikea, we scooped up the perfect planter that doesn’t take up too much space with its vertical ladder foundation. Plus, its modern and clean vibes are perfect to freshen up any space. After visiting the local nursery for your favorite herbs, you’ll be ready to get your green thumb going in no time. 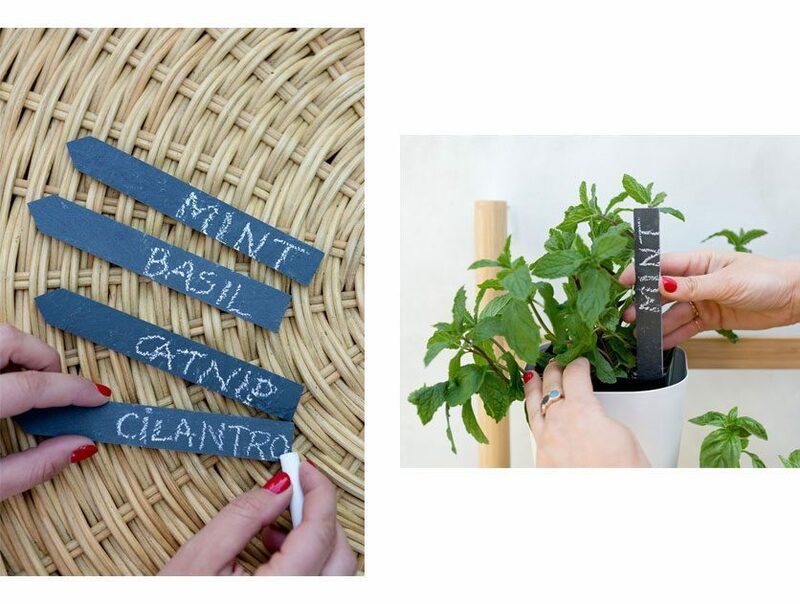 Adding chalkboard garden stakes with a personal touch sweetens up the fresh smelling garden instantly! And let’s be honest, nobody should mix up mint and catnip. Yes, Raj, the famous foster kitty as seen on our Snapchat fell madly in love with Catnip. 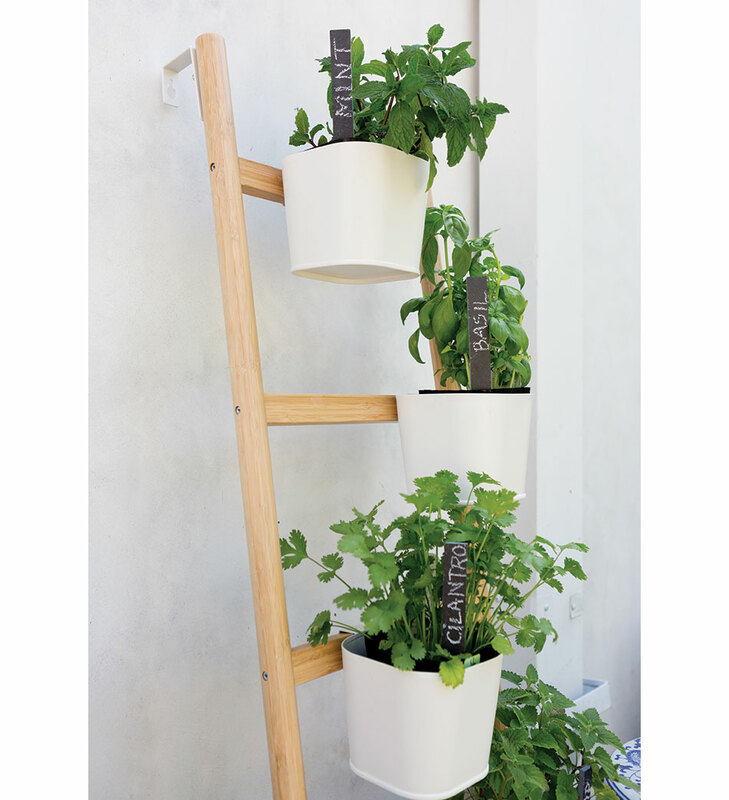 Keep in mind, even if you don’t have outdoor space, you can still rock an indoor herb garden. Just make sure you water accordingly, placing it in in-direct sunlight. After all, my mother has always said, “Bloom where you’re planted”, pass it on! Don’t forget…having a routine that allows skin to stay happy (and not itchy) makes getting dirty (again, and again) all the more fun! So scratch that gardening project off your list and keep skin cool and calm all season long with your green thumb and some Curél Itch Defense products. Thank you Curél for partnering with PSIMT on this post.